We’re Amazon Consulting Experts offering small brands and manufacturers comprehensive Amazon Account Management Services. We want to help you maximize profits from your Amazon storefront and alleviate your Amazon burdens. So how does our program work and how do we plan to earn your trust? Let us explain. The foundation of your Amazon sales success is the copywriting on your listings. The building blocks of effective sales copy are relevant keywords. VISIBILITY is the first step toward success in Amazon. Buyers cannot buy what they cannot see. In order to gain visibility, we must first discover the search terms buyers use to search for and ultimately purchase your products. 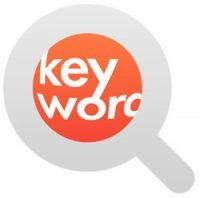 We perform deep keyword research to unearth all your products’ most profitable search terms. We use an array of established and in-house software tools to establish a list of money-making keywords for your listing. We dig very deep, deeper than most marketers dare to dig. We search for both obvious and not-so-obvious opportunities to expose your product to Amazon buyers. We then ensure that your listing becomes indexed for those keywords. Indexing in Amazon’s search is synonymous with VISIBILITY. In order to gain greater visibility, you must RANK HIGHLY in Amazon search. In certain obscure categories, it’s entirely possible to rank highly immediately by simply writing strong copy and incorporating necessary keywords. However, in most profitable product categories keyword research and strong copywriting alone will not suffice. In order to rank highly, we must implement Pay Per Click (PPC) campaigns through Amazon Sponsored Products. Amazon Sponsored Products is Amazon’s own unique PPC platform. At this point, the key to gaining higher rankings is to CONVERT. In other words, pageviews of your listing must convert into sales at a high percentage. Amazon’s search algorithm is called A9. Amazon wants to drive traffic to listings that produce high revenues for themselves. A9 rewards listings that have a high conversion percentage and a high volume of sales by boosting their rankings. Amazon wins, you win. This conversion statistic is called “Unit Session Percentage”. It can be found under several of the “Business Reports” within the Amazon Seller dashboard. It’s expressed as a percentage, ‘units ordered’ / ‘pageviews’. Go and have a look. Is your top product at 10% now? Maybe we can get it to 25%. That would be a 150% improvement. And that doesn’t even take into account how strongly A9 would propel you up its ranking because of the increase in conversion percentage. The higher this percentage the better your conversions. The better your conversions, the higher your crawl up Amazon’s rankings. The higher you crawl up Amazon’s rankings, the more free traffic you gain. The more free traffic you gain the more you sell. This process is a cycle which hopefully snowballs rapidly into greater sales. Many companies fail or perform poorly on Amazon because they do not implement PPC campaigns. Simply slapping up listings, even if well-optimized, will not increase rankings enough to gain high visibility for most products. We must force Amazon’s hand to encourage them to send us more traffic, so we can get more pageviews, so we can get more conversions. Amazon will all too kindly send us traffic… at a cost. That pay-per-traffic scheme is Amazon Sponsored Products, PPC. Erecting a PPC campaign without any skill level is risky. Whether it be Google Adwords, Facebook ads, or Amazon Sponsored Products, the PPC world is fraught with danger. The PPC battlefield is strewn with gravely wounded entrepreneurs as far as the eye can see. Only savvy PPC warriors navigate the treacherous PPC terrain unscathed. Many lose fortunes in PPC, or simply surrender in defeat. Or both. We’re highly skilled in Amazon PPC. It’s at the core of what we do best in our Account Management Services. We know how to approach the game conservatively, and to ensure a strong ROI and profit. This takes time and is a long-term strategy. However, implemented properly skilled PPC boosts sales derived from BOTH paid and organic traffic. 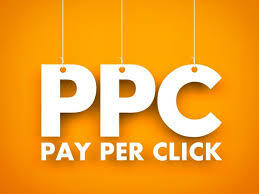 Our goal is to keep your PPC costs low, and boost rankings and overall sales. Everybody knows the saying: a picture speaks a 1,000 words. Never has that been more evident than now, especially online and in Ecommerce. Images hit customers’ eyeballs hard and quick. Those images have milliseconds to capture a buyer’s attention. Yes, buy. No, move on. We provide advice and direction to your imaging strategy. We don’t conduct product photography in-house, but work with outside expert Ecommerce photographers. Once we have an image set in hand, we split-test and FINE-TUNE those images to see which induces the most clicks and conversions. Numbers don’t lie. Though our guts may strongly guide which direction to take with your photos, we rely on the numbers in the end. Image optimization takes time and testing, but the results can contribute to a dramatic lift in revenues. Though split-testing wields a greater impact on photos, we will perform similar tests on our copywriting. The above three steps form the core of our offering. We’re Amazon Consulting Experts, but we’re entrepreneurs at heart and we don’t want to stop there. We want to help your business grow immensely. Consider the the first three steps as the ‘hub’ of our strategy. Consider the following steps as the ‘spokes’. They’re tangents we can explore either individually or simultaneously (depending on your capacity for risk). We hope one (or several) can be an ‘accelerant’ that catalyzes RAPID EXPANSION. Product Development: You know your product, your industry. We know Amazon. We have the capacity to provide insights into Amazon’s marketplace and suggest hot sellers to you. We see numbers, gaps in the market, up-and-coming opportunities that you’re likely too busy to see. We swim in Amazon’s river daily, you do not. Nor should you. Leave that to us. Feel free to leverage our expertise, because we’d like to leverage yours. Together we can can expand your product line and accomplish great things. This opportunity speaks for itself. If we can succeed in one marketplace we can likely succeed in several if not all others. External Advertising: Google Adwords, Facebook Ads, Instagram Ads, Pinterest Ads, and media buys. We dabble in all of them. Applied correctly any is capable of producing a strong ROI. This takes time, testing, and patience. But if you have the inclination to try we’d be eager to help. Outside-the-Box Partnerships: Maybe your products are doing great but you simply don’t have the cash to expand or grow. If the opportunity is right, we may be able to provide financing or even become distributors of your products ourselves. Try us, there may be a great fit. The worst thing we’ll do is politely decline. Sorry for misleading you, but this is really ‘Step 1’. This step is entirely in your hands. We’ve said enough and taken enough of your time. You know what comes next. Get A Quote Now to see how we can help grow your small business exponentially through Amazon.